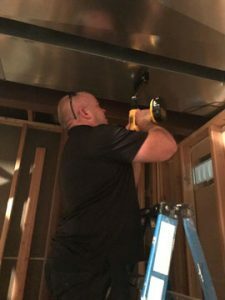 How Does Kansas City Duct Cleaning Work? So you have heard online or from your friends that you should have your ducts cleaned in your house from time to time to keep your home’s air quality good and keep your home in general cleaner. To start out with, no we don’t have Rick Moranis’s sweet machine from “Honey I Shrunk the Kids” so we can just walk around in the ducts with a push broom. As cool as that would be, no we don’t have that. Confirm that the furnace is in good working order and the pilot light is lit, then we shut off the furnace and close the gas valve if it gas. 1. 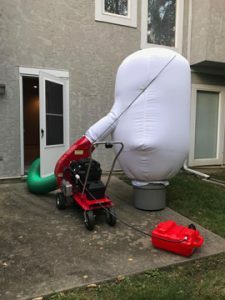 Create access points in both the supply (aka the blowing side) and the return side (aka the suction side) so we can attach the massive 10″ vacuum hose to your ducts. 2. Attach the vacuum hose to first the supply side, then once that has been cleaned we switch the hose to the return side. 3. We then go around and tape over all the vents to concentrate the suction of the massive 5200 cfm vacuum to the vent we are working on one at a time. 4. We then begin the actual cleaning process once we fire up the vacuum that stays outside. 5. Then comes the agitation process. We have two agitation options depending on the kind of duct work the home has. 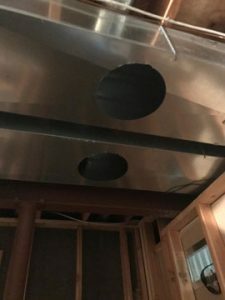 Most homes in the midwest have sheet metal supply ducts, were as the return vents will lots of times just be an open cavity in the wall that leads to the trunk line in the basement. When cleaning supply lines we use compressed air whips to simultaneously blow loose and push the loosened dirt towards the vacuum to be the removed from the house. With the cavity openings between the studs and drywall we use soft brushes so as to not damage the drywall yet still break lose the dirt in the duct. 6. 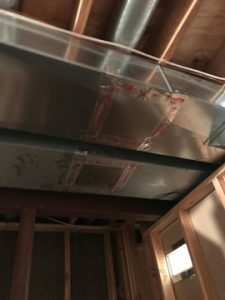 Once we have blown out both the supply and return vents we then cover over the access points with new sheet metal covers that are screwed on and then sealed with duct sealing tape. 7. If we are there to address odors we will then apply an odor free deoderizer into the ducts. 8. Then we go around and remove the tape from the vent covers. 9. Turn the furnace back on and relight the pilot light.